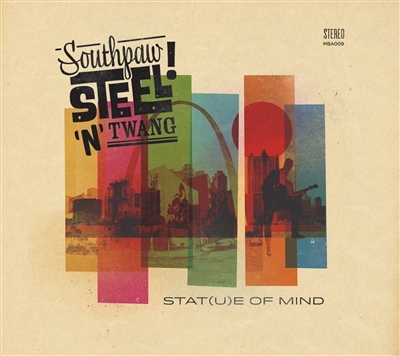 Southpaw Steel'n'Twang is a power trio which concentrates mostly on instrumental music; focus is often on pedal and lap steel guitars but electric guitar also has much to say. Ville "Lefty" Leppänen takes care of the aforementioned instruments - and also sings a bit - while JP Mönkkönen (bass) and Tero Mikkonen (drums) lay the foundations for Lefty's guitar circus- and of course play solos now and then! The band’s 2014 debut album “Hale’s Pleasure Railway” collected very positive reviews in international media; Lefty penned all compositions to the album. Second record "Stat(u)e of Mind", released 26th of November, 2015 includes also compositions by Tero and Jp. Album was mostly recorded in St.Louis. SST respects tradition but also goes forward, searching for new roads and landscapes.. Steel'n'twang whatever be the thang!